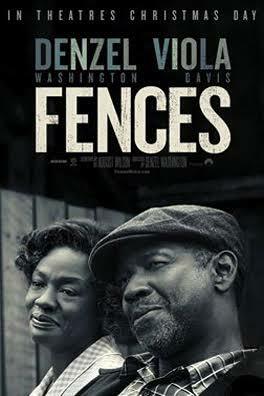 Now working as a garbage collector in 1950s Pittsburgh, a former baseball star (Denzel Washington) creates tension in his family when he squashes his son’s (Jovan Adepo) dream of playing college football in Fences. Movie Scene Queen is screening FENCES this Monday, December 19 at 7:30pm in the Waterfront. Please comment below with your favorite August Wilson play or work. In 2008, I was taking News II at Duquesne and I created an entire package on August Wilson’s childhood home. I was outraged that although his house was declared a historic landmark, the marker was laying in the middle of the street. I worked with City Council and PHLF to get the sign put back in its proper place. I can keep going on and on, but August Wilson plays are timeless and really grips the reality of Black Pittsburgh (even now). 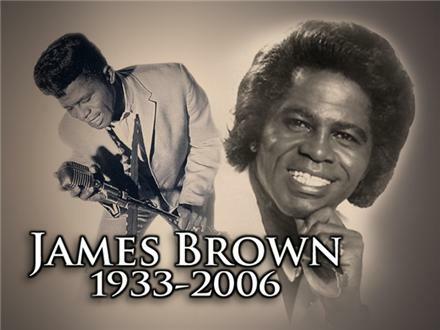 The biopic depicting James Brown’s life as the Godfather of Soul, Get On Up, will be available on Blu-Ray and DVD on January 6th, 2015. Movie Scene Queen is giving away a handful of DVDs! 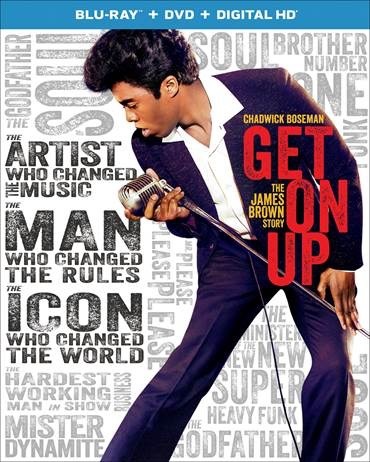 Rated PG-13, Get On Up stars Chadwick Boseman in yet another career-making performance as James Brown, with a stellar supporting cast that includes Oscar®-nominee Viola Davis, Oscar-winner Octavia Spencer, Nelsan Ellis, Oscar-nominee Dan Aykroyd, Craig Robinson and Jill Scott. James Brown’s ferocity, talent and ambition propelled him from his hardscrabble South Carolina roots to some of the most prestigious musical venues in the world, earning him a reputation as “the hardest working man in show business.” Get On Up takes audiences behind the scenes of his brilliant, six-decade-long career for an uncensored look at the turbulent forces that drove the legendary performer. Please comment below for an official entry. Winners will be announced on Friday, January 9th. 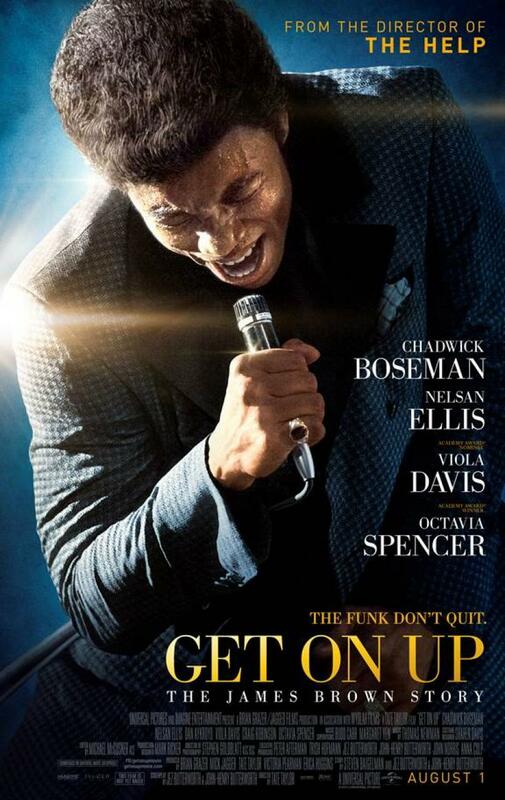 Comment below with your favorite James Brown song for a chance to win tickets to see his biopic, Get On Up. The screening will be held Wednesday, July 23rd at South Side Works Cinema beginning at 7:30 PM. The paper bag and snow-and-blow tests are direct derivatives of the 1712 Willie Lynch Speech that taught White slave owners how to put African Americans against one another based off of weight, class, skin color, and age. Willie Lynch’s advice to Virginia slave owners were to use our differences as a competitive separation tactic to better control slaves. Three hundred years later, society is still popularized with social trends like #teamdarkskin and #teamlightskin. A 2012 documentary closely looks at one group of Black people whose pigmentation has been less than “fair”- Dark Girls. On Saturday, June 21st, Rights and Responsibility, an organization that uses film and other media to focus on human rights issues impacting people of African descent, held its first screenings in nearly 3 years. Dozens of spectators gathered at the Carnegie Library’s East Liberty Branch to watch the 70-minute documentary, Dark Girls. Rights and Responsibility Executive Director, Dr. Aisha White, welcomed everyone and then introduced a powerful performance by Love Front Porch’s Vanessa German. Once the movie was over, a panel discussion, moderated by Demetria Bocella, included race relation experts like Dr. Stanley E. Denton, Associate Professor of Education at Point Park University, Dr. Beverly Goodwin, Professor of Psychology at Indiana University of Pennsylvania, and Dr. Yolanda Covington-Ward, Assistant Professor of Africana Studies, University of Pittsburgh. The documentary, directed by D. Channsin Berry and Actor Bill Duke, has six segments: The Impact, Family, Men on Women, Women on Men, Global, and Healing. The Help star Viola Davis might be the most well-known account in Dark Girls. Davis, who is sprinkled throughout the film, gives a brief synopsis on her childhood about being dark skinned, raised in a predominantly White neighborhood and how she was too Black for her neighborhood but also, coincidentally, too Black for her “Welfare camp” also. While Dark Girls features expert commentary from historians and psychologists, it also had distinct accounts from African American men and women. We even heard from a couple White men who like Black women. But, who we failed to hear from was- White Women. Not one White woman was featured in the documentary to give us her opinion on the Dark-skinned Black woman. I found that very interesting! 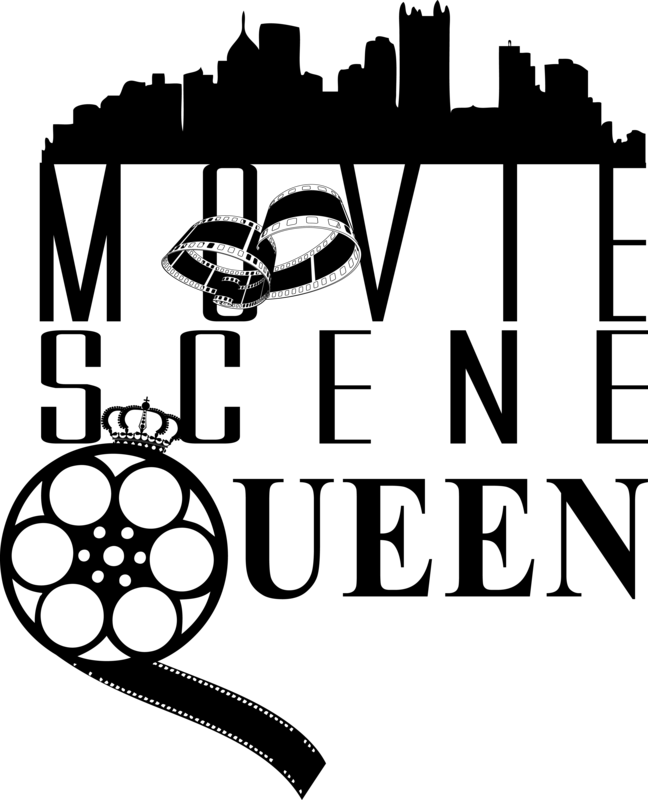 The short film made several references to Black men about how they indulge in light-skinned or White women, prefer dark skinned women, or simply did not have a preference. But the film failed to have a serious, educated rebuttal from White women. And even though light skinned women where in the documentary, it would have also been enlightening to get their feedback as well. The behavioral dynamics between women are a huge piece of the colorism, specifically the roles non-dark girls play in the perpetuation of stigmas that shadow dark women. This might be slightly off topic, but I hate when people say they only date a specific race, especially Black men. To make such a sensitive decision, leads me to believe that the person is naive and immature. I would never limit my opportunities by saying that I only date Black men or White men. More specifically, I would never say, “Oh, I only date light-skinned men.” It just sounds close-minded and idiotic. Dark Girls most informative part is about family and how parents are a child’s initial reassurance and boost in understanding, development, and self-esteem. LaQualla Davis, 30, thought Dark Girls “finally shed light to an issue within the Black community that needed to be exposed.” Davis, a dark-skinned woman, attributes her high self-esteem and confidence in her early values that were instilled by her parents. She recalls her mom always calling her “beautiful” and embracing her equally regardless of her dark skin. 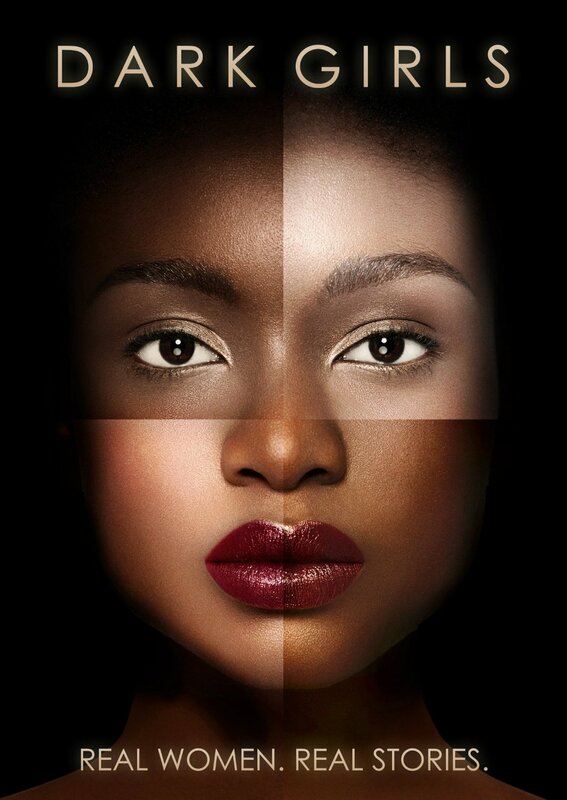 3.5 STARS: Dark Girls is an ideal stepping stone to start healthy dialogue about colorism, but it is not the premiere premise or remedy to the issue. It’ll take more than a few dozen stories to solve this problem. The healing process is multi-dimensional and requires historical knowledge, self-esteem, and professional guidance in order to break the barriers of colorism for all people. Dark Girls was released on DVD in September 2013 and is currently available on Netflix and Red Box. And if you need to borrow my Netflix account, let me know! 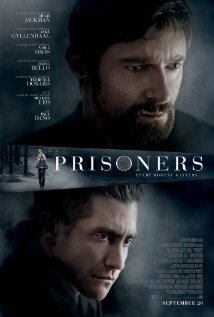 Join the Movie Scene Queen for the September 18th advance screening of Prisoners starring an-Oscar filled cast such as Hugh Jackman, Jake Gyllenhaal, Viola Davis and Terrance Howard. For your chance to win 2 tickets just comment below with your email address and your LEAST favorite movie of all time! The screening will be held at AMC Loews Waterfront on Monday, September 16, 2013 at 7:30 pm. Winners will be notified on Friday, September 13th.